With everything on the internet, do college students still use the library? A big part of your studies will involve research; both online resources and a library should be used. Traditional libraries have certainly changed a lot since the internet took over the world, but they still play a vital role in the world of academia. Colleges are starting to revamp their libraries to change the way we gather information. The general concept of updating campus libraries is to provide students with a comfortable and communal area to work and research. Out with the old stuffy corridors of books and dimly lit corners, and in with bright open spaces and modernity. Innovative techniques such as temporary walls and wheeled units allow the spaces in libraries to be changed to suit requirements. The buzzword of the moment is ‘Makerspace’ which refers to an area where students can go to work on physical projects and make things. Libraries have become more practical and less of a book archive. Technology has expedited this transformation. High-tech devices such as 3D printers are being used in modern university libraries along with wet areas and art supplies. The entire library experience has become a lot more hands-on. Efforts to go paperless have been facilitated by the use of document management software and the digitization of archived papers and materials. 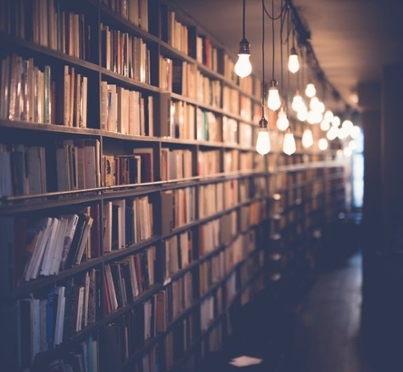 A book can be left for decades in relatively the same condition, but digital media needs to be compatible with past, present and future standards so it can still be easily accessed and read in a standard format. Space is usually at a premium, and designers are getting creative with their use of it. There is no need for every college library to carry the same books and journals, so some are cutting back and specializing in what they have available. Teaching students to be more discerning with their choice of data sources has also begun in earnest. With the prevalence of fake news and spurious information all over social media, students need to know how to differentiate the wheat from the chaff. According to a Stanford University study, students are still having difficulty determining what is genuine content when they are online. The internet has become a major component of the modern library with web design firms creating online interfaces and databases to modernize and simplify the search process. Students are also being encouraged to become managers of their own education, and this is often guided by a librarian or faculty member as opposed to traditional classroom lectures. The new layout and design of campus libraries will facilitate this with communal areas for students to discuss projects and research. In addition, creative touches such as the use of glass walls for natural light and comfortable study stations are also popular. The redevelopment of libraries has generated debate and concern from those who feel that there is still a place for books, periodicals, and archived material. The challenge now is to find that balance, which many campuses are managing to do. (Miriam Metzinger is editor for the financial website Seeking Alpha).